'What's a setting powder?' my husband asked as I photographed my new makeup instead of applying it. The Laura Mercier Loose Setting Powder packaging was so sleek and so pretty. Part of me felt unqualified to use something so decadent, so extra, as a translucent setting powder. I was used to my $2 e.l.f. pressed powder. Dorothy, you are not in Kansas anymore. 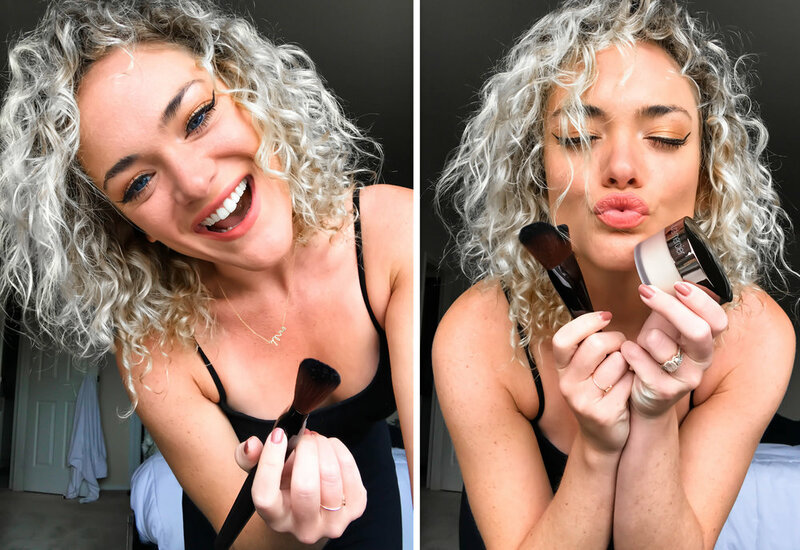 To answer my husband's question (the same one I had to be honest...): What is a setting powder? Loose setting powder locks in your makeup 'without adding weight or texture.' Typically applied after your foundation, but before blush and bronzer. Lightweight. This definitely has something to do with the fact that it's a loose powder, but goodness gracious I did not feel this powder on my face. Evenness. My skin suffers from a chronic need to be red in some places then bumpy in others, so it's difficult to find a powder that doesn't enhance the uneven terrain. Thank you, Laura Mercier, for making my skin appear even. Nada. Not to be dramatic, but I really liked this formula and can see myself using it daily (because I am...).